Leadership & Organization Dynamics develops custom talent management solutions for leaders and organizations, optimizing people capabilities and aligning workforce talent to increase employee engagement and drive organization success. There is a dynamic interplay between leadership, team effectiveness, individual engagement, and business outcomes. Each organization is different and unique in terms of people, strategy, culture, and leadership. Leadership & Organization Dynamics provides a customized approach in service design and delivery, starting with understanding your specific business needs and tailoring programs and services to enable your success. 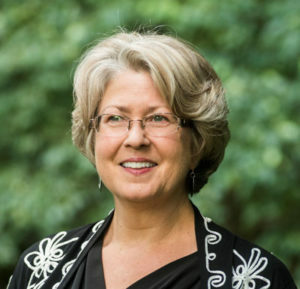 Dr. Caroline Pike is President and Owner of Leadership & Organization Dynamics. She focuses on aligning organization structure, culture, and talent with strategy to achieve organization goals. With over 20 years of experience in leadership and organization development, she has accumulated a wealth of knowledge and insight which she brings to each assignment. Caroline’s background includes consulting, managerial and executive roles in a wide range of industries, including healthcare, energy, financial services, telecommunications, and education. She has been on the faculty of Washington University of St. Louis, Saint Louis University, Thomas More College, and Ithaca College, and has worked as an independent organization effectiveness consultant and executive coach with various organizations in health care, telecommunications, and education. Through these experiences, she has developed a keen sense of the dynamic interconnectedness of people, culture and leadership in organizations. She brings a systems perspective to her work that builds synergy among these components and enables individuals and organizations to achieve their highest levels of performance. Caroline earned the Ph.D. in Industrial and Organizational Psychology from North Carolina State University, the M.A. in Psychology from University of Louisville, and a B.A in General Psychology from University of Kentucky. She is on the Board of Directors for Louisville Visual Art, and also enjoys hiking, cycling and sailing in her spare time. View Caroline’s profile on Linkedin for more information. She is on the Board of Directors for Louisville Visual Art, and also enjoys hiking, cycling, and sailing in her spare time. Assessments provide insight into leaders’ cognitive strengths, personality traits, motivation and values that impact how they approach, perform, and derive meaning from their work. Assessments typically include self-report inventories, preference and style indicators, personal interview, and feedback from others, and are customized to the individual and situation. Assessments are designed to identify unique traits, skills and talents that enable career success, determine ‘best fit’ for various roles and careers, and provide the foundation for career coaching. Groups work together in a variety of ways to achieve production, problem solving, collaborative, and strategic goals. Active facilitation of group process using proven tools and techniques accelerates team development and effectiveness, and builds teams whose achievements are truly “more than a sum of the parts”. Additional benefits of team building include improved communication and coordination among team members, as well as improved morale and overall engagement. A customized training approach begins by determining the capabilities needed in an organization to successfully compete, and then determining where gaps exist in these capabilities. Once gaps are identified, specific and targeted training solutions can be developed to build the individual and collective competency base for successful execution to achieve goals. Supervisor Training in an organization having significant issues with front line employee performance. Building mechanisms and creating a culture for employee engagement starts with understanding the workforce. Once workforce attitudes and values are discovered, custom programs and solutions can be developed that capitalize on the energy and involvement of employees at all levels. Ask about developing strategies to increase engagement in your organization. Groups work together in a variety of ways to achieve production, problem solving, collaborative, and strategic goals. Active facilitation of group process using proven tools and techniques accelerates team development and effectiveness, and build teams whose achievements are “truly more than a sum of the parts”. Additional benefits of team building include improved communication and coordination among team members, as well as improved morale and overall engagement. To learn more about custom solutions for your organization, contact us.